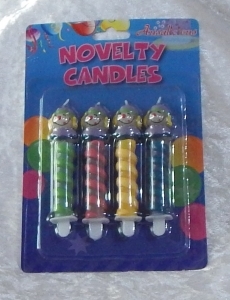 Novelty 4pc swirl candle set that measure approx. 10cm high. Buy Now! | Currently there are 12 in stock. Sale Price: $1.40 You Save: $0.60 (30%)!